5/5 rating based on 465 reviews. Read all reviews for Fantastical 2 for iPhone. Fantastical 2 for iPhone is paid iOS app published by Flexibits Inc.
No way to set completion date for tasks without setting an alert. Crucial missing piece. It merges all of my various calendars & it's very intuitive. Not sure why I had to pay for the app since I paid $39 for computer version. Other than that, I would really recommend. Absolutely love this calendar, completely worth paying for. This calendar allows me to see multiple colored dots on each day so I know there's more than one thing that day and what they are based on their colors. AND I love that it syncs with the apple calendar so I still can see everything on the calendar on my computer!!! Absolutely love it! It's also super easy to add an event! Clunky interface Can't scroll through day easily Can't easily adjust hours of an appt Takes forever to pull up email of contact for invite Invites to outlook users don't come through well This is app is crap. I am moving to google calendar which so far is much smarter and quicker. I used sunrise for years and this was a wasted attempt at replacement. I had all of my calendar notifications set for 3 minutes in the default calendar app. Fantastical added a 5 minute notification to all my events, so I'd be notified twice. After disabling fantastical notifications completely, it removed notifications completely from a recurring event. When I tried to fix it, it duplicated the event in my calendar, and somehow prevented me from ever setting notifications on the meeting ever again. I tried setting an alert in Fantastical, iOS default calendar app, OSX calendar app, and Google Calendar, and it would not save. I had to delete both recurring events and start over. This was particularly embarrasing, given that it was a meeting I was invited to, so I had to explain to the organizer why I rejected their meeting (after missing it twice), b/c of a bad app install. Truly hard to see why anyone likes this app: Jarring aesthetically, even in light theme. Non-existent monthly views. Useless bars on weekly view. Multi-stepped, unintuitive and laborious to use. Not showing empty days in list causes ambiguity. Watch app way too busy. Customer support is rude. Love this app! Easy to use and completely streamlined my families day to day. Also use the mac app which compliments this perfectly! Not as good as Sunrise-needs better user experience. I can say I am quite disappointed with this app given I had Sunrise first. The look and feel of Sunrise was so much better. Sunrise also seemed to work flawlessly with Waze to the point it told me when to leave if I had a meeting in another location. Not impressed and also not impressed I had to not for something less. To bad Microsoft stopped supporting Sunrise. I would have never left. Fantastical 2 is the best calendar app that I've used on iOS. The design is simple and intuitive. The natural language text entry is the best and makes it easy to enter events and reminders. 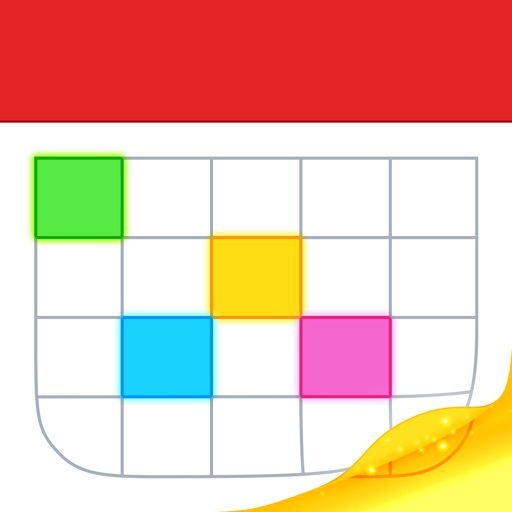 If you're looking for an exceptional calendar app give Fantastical 2 a try!